The Garden Lady, C.L. 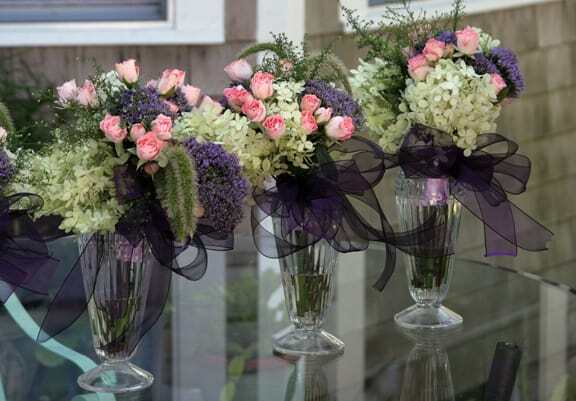 Fornari, is an expert at preparing landscapes for a garden wedding. Whether you’re a wedding planner or do-it-yourselfer, you’ll find advice and information for creating magical surroundings for weddings, parties or rehearsal dinners. As a garden consultant I’m frequently asked to help homeowners who are planning a wedding or rehearsal dinner in their backyard. Some need help improving their landscape a year or more in advance. Others want last-minute garden advice a month or less before the event. Frequently people ask for tips on garden wedding themes, or growing their own flowers. After several of these visits I realized that although there were many sources for wedding advice and inspiration, there wasn’t anywhere that offered specifics when it came to the yard and gardens. My website, blog, and book are here to provide you with ideas and help as you plan your garden wedding. Congratulations on your upcoming celebration, and for considering the garden as the venue for this special day.